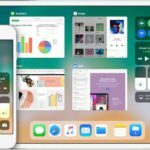 Apple redesigned its signature control center with iOS 11. And yes, starting with iOS 11 you can indeed customize control center without jailbreak!!! 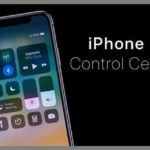 In this article, we show you how to do just that and make your iPhone’s control center truly your own using the new iOS 11. When iOS 10 was released, many users were not too happy with the redesigned control center. One of the main reasons around this was the inability to customize the control center. You couldn’t change it. Instead, you had to put with all the controls it displayed out of the box. 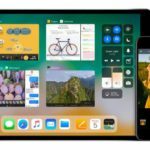 Starting with iOS 11, Apple is offering more customization options to the control center. 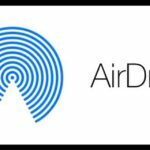 Where’s AirDrop in iOS11? We’ve Found it and More! When you access the Control Center on your iPhone by swiping up, you cannot miss the newly designed control center. There are easy, and cool vertical slider controls for you for screen brightness and volume control. You don’t have to fumble with the volume control anymore. The icons look cleaner and well organized on the full page. When you 3D Touch an individual icon group, it opens up detailed icons on a new page. For example, pressing on the Airplane Mode group of icons opens up detailed actions that you can take. It’s right there and very easy to access. 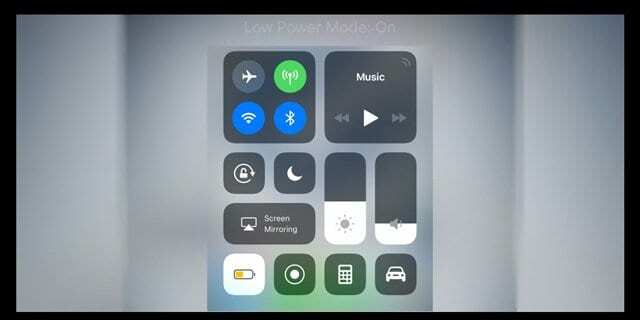 And best of all, we can finally add in the “low power mode” toggle to control center!!! The best part is you can now customize what you see in the Control Center. You have the option of choosing from 17 different controls that you want in your control center. The second option Customize Controls allows you to pick and choose what features you want showing when swiping up Control Center. Tap on this option to choose what you want to show on your Control Center’s screen. 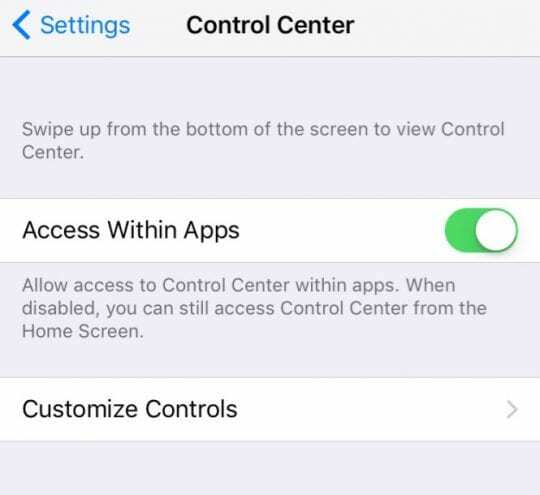 Here you define which of the controls you want to be included in your control center. You can also arrange these controls to appear in the order that you want by simply dragging the horizontal bars next to the icon and re-arrange. Simply tap on “+” button next to the control and it adds it to the section “Include.” Once you have added the controls, you can arrange them in the order that you want. You can pretty much add all the controls if you wanted. 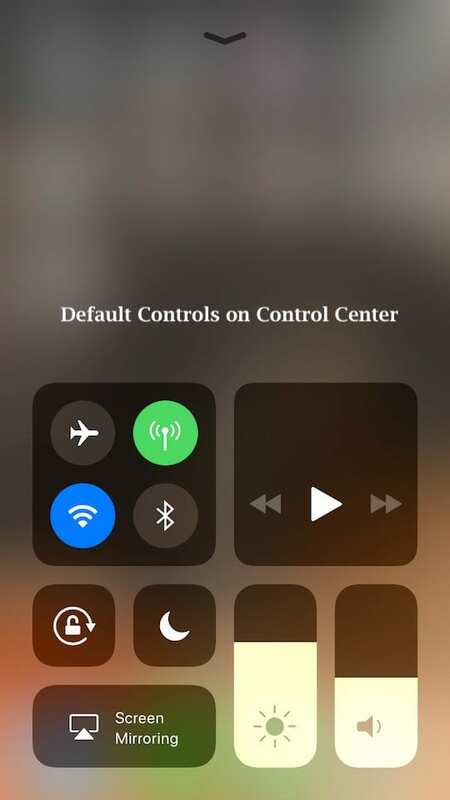 The best practice would be to add in your top 4 to 5 favorite controls into your control center so that it makes it more convenient and looks good. 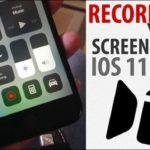 There are a few exceptions to what you can delete from the control center in iOS 11. 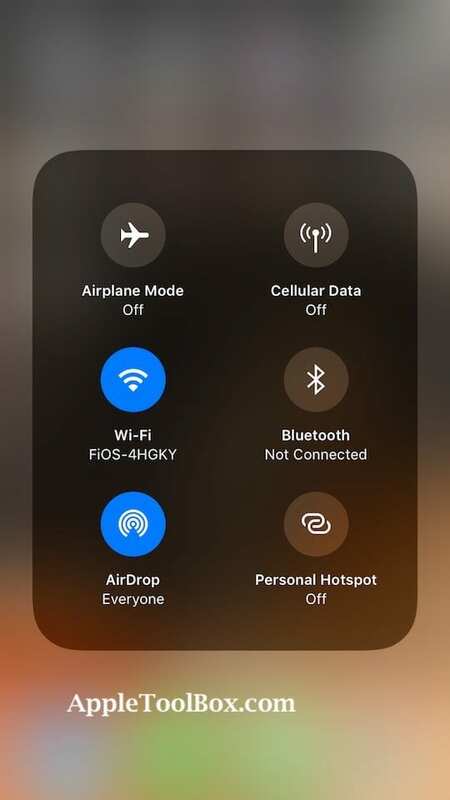 For example, the controls for Music, Screen Brightness, volume control, screen mirroring, do not disturb, lock mode and wi-fi related controls cannot be removed. 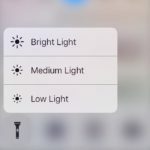 Even when you delete all the controls from the “Include” section in your control center, you will find these by default in the control center screen. 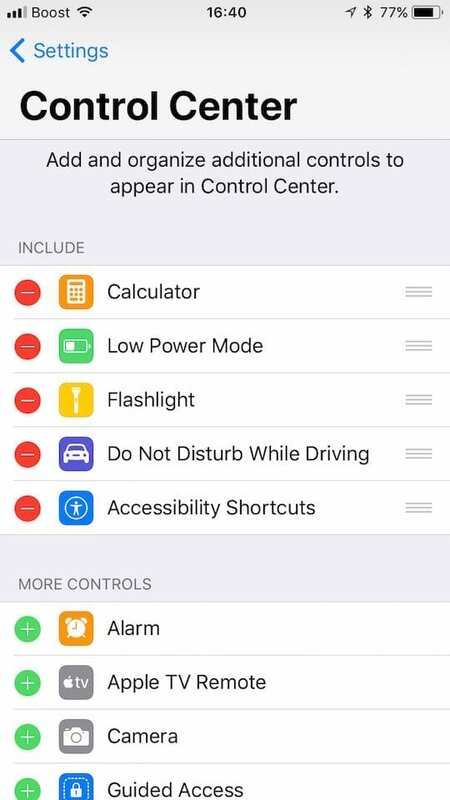 At this point, we haven’t seen a provision for adding any third party controls to the control center. That may change in the future. It remains to be seen. For now, users that wanted a little more autonomy with the control center, rejoice! 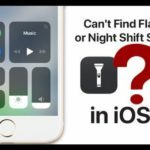 Can’t Open Control Center on iPhone X? Or Siri? Hi. Since the latest update, when I use an app it moves from the group I’ve arranged it in to the bottom of my home page. How do I stop this?? Example…I have a travel grouping that includes maps, weather, etc. if I open weather it it disappears from my grouping and moves to screen bottom. Hate that! Are you using an iPad? If so, take a look at your Dock settings in Settings > General > Multitasking and disable Show Suggested and Recent Apps. For more info, see our article on using the iPad Dock in iOS 11. If this problem is happening on another iDevice like an iPhone or iPod, please let us know. Please force restart your iPhone or iDevice. 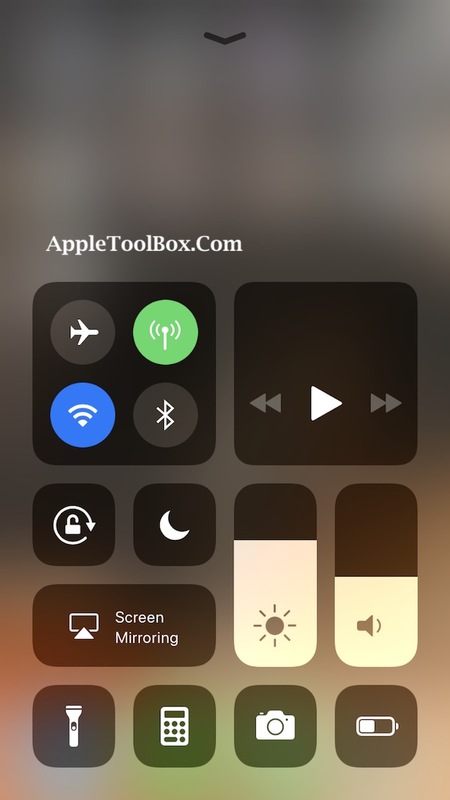 I can’t disable control center in Block screen. Because i don’t want the other person turn off wifi or cellular data when the Iphone is blocked. Help me! I cannot find the “Access Within Apps” to disable Control Center within apps. it only shows Customize Controls. Apple released another bugged crappy OS. Rollback needed.